Lock in a great price for Hotel Safari – rated 8.1 by recent guests! No geral, o hotel é lindo, os funcionários são sempre muito atenciosos e prestativos. Nos trataram super bem. Com certeza voltaremos ao hotel. O café da manhã ótimo enquanto as camas a dia casal confortável sobre a outra não posso dizer o mesmo. La ubicación. Esta a una cuadra de la Costanera y del mar. O café da manhã bom, localização boa. Funcionários excelentes, desde a recepção até a cozinha. Localização e pessoal do restaurante super simpático. O café da manhã é farto, com muitos pães e as frutas ficam num compartimento frio. A cama era confortável e o café da manhã muito diversificado e delicioso. A chefe das camareiras que também auxilia no café da manhã é um amor de pessoa, muito atenciosa e simpática. Café da manhã gostoso, mas diferente de Muitos lugares ,a tapioca é feita com massa grossa, deixando um pouco a desejar no sabor.... a cama é absolutamente confortável, o quarto e o hotel tem limpeza impecável e a localização é excelente. Recomendo o hotel. Hotel Safari This rating is a reflection of how the property compares to the industry standard when it comes to price, facilities and services available. It's based on a self-evaluation by the property. Use this rating to help choose your stay! 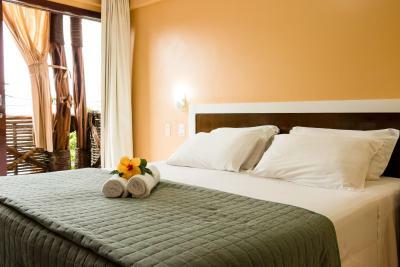 This hotel in Natal offers spacious accommodations with balconies, air conditioning, LCD TVs and free internet access only 150 feet from Ponta Negra Beach. The outdoor pool and the rustic architecture from the lobby and restaurant invite you to relax in between your sightseeing tours in Natal. Every morning, the Hotel Safari invites you to savor a free breakfast with homemade products. 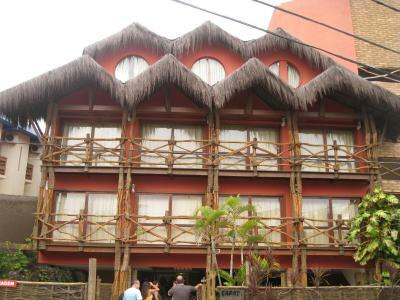 Within a short walk, you will find many restaurants, bars, shopping malls, movies and shops, as well as the popular Morro do Careca. 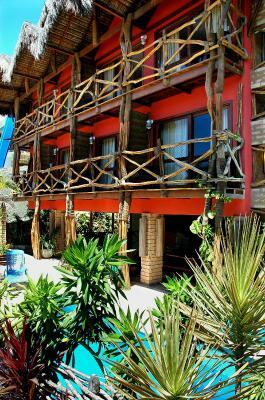 When would you like to stay at Hotel Safari? Featuring a balcony and equipped with air conditioning, this apartment contains an LCD cable TV, a lap top safe and a sofa. Please note that children are not accepted in this room. House Rules Hotel Safari takes special requests – add in the next step! One child from 0 to 12 years is charged 30 % of the room stay per night in an extra bed. Hotel Safari accepts these cards and reserves the right to temporarily hold an amount prior to arrival.